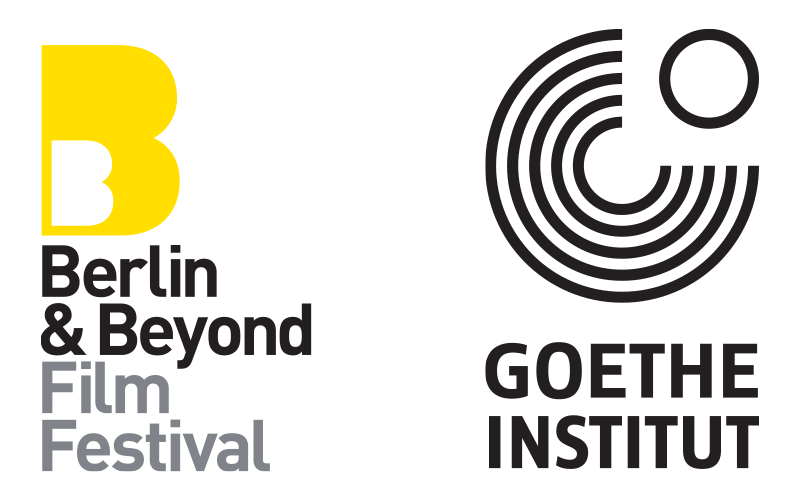 (San Francisco, February, 2019) The Berlin & Beyond Film Festival (March 8-14, 2019), the largest festival of contemporary German cinema in The Americas, presented annually by the Goethe-Institut San Francisco, proudly announces the full lineup of its 23rd edition. The festival will return for the 23rd year to San Francisco�s iconic Castro Theatre from March 8th-10th with red carpet premieres and actors and filmmakers in attendance, along with encores at Landmark Shattuck Cinemas in Berkeley on March 11th, and screenings at the auditorium of the Goethe-Institut in Downtown San Francisco from March 12th-14th. Brothers Christian (43) and Georg (45) haven't seen each other for 20 years. They finally cross paths at their father's funeral, of all places. At first their silence continues. Carpenter Georg cared for their father until his death and manager Christian has not been back home for years. But after a booze-filled wake, the tension between the two of them eases and the brothers drunkenly decide to realize their old boyhood dream of driving across Germany on their mopeds. A group of 12th-grade students decide to show their solidarity with the victims of the 1956 Hungarian uprising by staging two minutes of silence during lessons. Train driver Nurlan is heading to Baku for the last time before retirement. On its way through the neighborhoods of the city, his train snags a blue bra off a washing line. To escape from his lonely existence, Nurlan embarks on the most adventurous journey of his life: to find the owner of this perky piece of underwear. On the way from Berlin to Portugal in her rusty �303� camper van, young biology student Jule picks up hitchhiker Jan. While having intense conversations about everything and the world, they try not to fall in love. In a spa hotel, Romy Schneider - the biggest female star in Europe of her time, gives her last interview to two journalists. Three days, driven by romantic desire, professional ambition and the urge for living. Winner of seven 2018 German Film Awards including Best Picture. Thomas, a young and talented German baker, is having an affair with Oren, an Israeli married man who dies in a car crash. Thomas travels to Jerusalem seeking answers. He starts working for Anat, his lover�s widow, who owns a small caf�. His delicious cakes turn the place into a city attraction. Finding himself involved in Anat�s life in a way far beyond his anticipation, Thomas will stretch his lie to a point of no return. Georg Kempter is a gardener in a small Bavarian town. His nursery is facing bankruptcy. He doesn�t talk much, and never has. His marriage has long lost all its magic and he fails to connect with his daughter. Only when he is flying in his own rickety plane, Schorsch feels truly free. When the owner of the local golf course tries to rip him off, George snaps. Just when his airplane is about to be impounded, he grabs the control stick and flies away in an attempt to save his plane and himself. Alice is unemployed. She can no longer tolerate the disgrace of daily life and refuses to get along with the requirements of the job center. Defiantly, she keeps afloat with gas station vouchers that she gets from small jobs in market research institutes, and persistently tries to find the thread of her life through this absurd exchange. When 30-ish rich kid Lenny has to take care of 15-year-old David, who�s suffering from heart disease, it�s the beginning of a wild adventure. Lenny fearlessly breaks all the rules to fulfill his young friend�s every wish. The film deals with the real life story of East German singer and writer Gerhard Gundermann and his struggles with music, life as a coal miner and his dealings with the secret police (STASI) of the GDR. Family Matin�e: An orphan boy in search of his origin. A young princess held prisoner in deadly Dragon City. Jim and his friend Luke discovering mysterious lands on the quest of a lifetime. A new cinematic vision based on the novel by Michael Ende. When Ricky gets out of jail, his buddy already has the next heist planned. But their sure-fire scheme soon turns into a cat-and-mouse game with crooked cop Diana, who needs a share of the loot to save her daughter�s life. 12 years old Oktay is finally reunited with his parents after being under the guardianship of his grandmother in Turkey. Set in 1980s Germany, it is a country where the social and cultural relief could not be further from his homeland. Although Oktay is facing life with a physical handicap, he will discover an unexpected world of love and friendship. The concrete apartment "Excelsior" is a stopover for many of its inhabitants. Soon, life will get better and life will make its own way: with "invisible make-up", 49-year-old Michael wants to re-connect with his previous success as a call boy. Claudia's days as a dancer are over, but a series of new photos are supposed to help her get back on stage. Norman wants to help others find happiness with his start-up "ChangeU" and help himself to a new sports car. Hardly anyone can escape the temptations of success. In this courageous documentary film, we meet Angela from the US and Ingo and Manuel from Germany, all former right-wing extremists who made the leap to leave their movement. They are now forced to live isolated lives in hiding due to their dangerous pasts. In Denmark, we explore the other side of the spectrum when S�ren shares the story of his life a former left-wing extremist. Director Karen Winther also meets Frenchman David, who was active in the Armed Islamic Group and who has served 6 years in prison for terrorist activities. Reflecting on her very own extremist past and the stories of the people she meets along her travels, Winther walks us through how she arrived at her own wake-up call and the journey that followed. Ruth Beckermann documents the process of uncovering former UN Secretary General Kurt Waldheim�s wartime past. It shows the swift succession of new allegations by the World Jewish Congress during his Austrian presidential campaign, the denial by the Austrian political class, the outbreak of anti-Semitism and patriotism, which finally led to his election. Created from international archive material and what Beckermann shot at the time, the film shows that history repeats itself time and time again. Croatia, January 1992. In the midst of the Yugoslav Wars, Chris, a young Swiss journalist is found dead under mysterious circumstances. He was wearing the uniform of an international mercenary group. Anja Kofmel was his cousin. As a little girl, she used to admire this handsome young man. Now a grown-up woman, she decides to investigate his story, trying to understand what really happened. 60-year-old Charlotte leaves her husband Paul behind at a pull-in station and says goodbye to her old life. This decision triggers an astonishing chain of events that send Charlotte, Paul, their daughter Alex, and their granddaughter Jo on a journey where they will come to meet one another and experience love and life anew. Youth 4 German Cinema 2019 Winner: A girl struggling with asthma is taken to a clinic in South Tyrol to be cured. After some time she decides to escape and soon makes a new friend. Together they try to reach the peak of a mountain where, according to an old custom, she can be healed. Youth 4 German Cinema 2019 Runner Up: Maureen still lives at home with her parents and has no goals or aspirations to speak of. A personal tragedy shakes her, and out of a sense of guilt and despair, she embarks on an adventure she�s clearly not prepared for. There�s a ship waiting in Hamburg to sweep her off to Antarctica, but how is she supposed to get there with only eight euros in her pocket? Since 1996, Berlin & Beyond Film Festival has been the leading festival of contemporary German cinema in the Americas, and has presented over 500 motion pictures, along with the presence of celebrated film figures, including Fatih Akin, Moritz Bleibtreu, Daniel Br�hl, Lars Eidinger, Hannelore Elsner, Florian David Fitz, Bruno Ganz, Werner Herzog, Frederick Lau, Maria Schrader, Barbara Sukowa, and Wim Wenders. Including seasonal programming, Berlin & Beyond receives a combined attendance of over 12,000 people annually. The Goethe-Institut is Germany�s official cultural center comprised of 159 institutes in 98 countries. The Goethe-Institut exists to promote art and films from Germany, the study of the German language, and encourage the international cultural exchange with Germany. Having celebrated its 50th Anniversary in 2017, the San Francisco branch has been promoting German culture and language since 1967. Its year-round cultural activities include art exhibitions, film screenings, and special events with local cultural institutions. The following screeners are available for those interested in covering. Please email Publicity@Larsenassc.com to request.